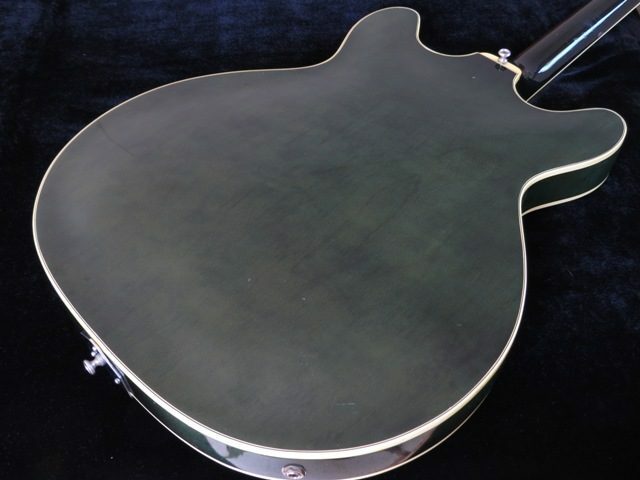 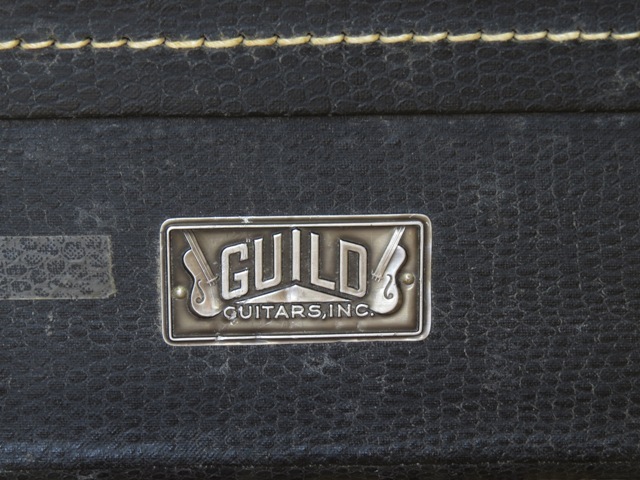 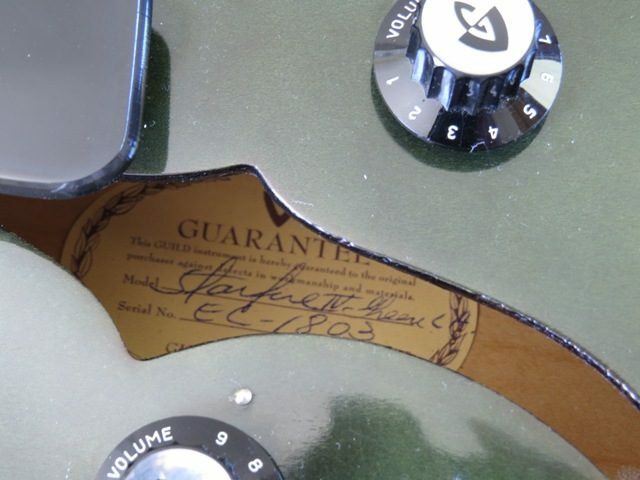 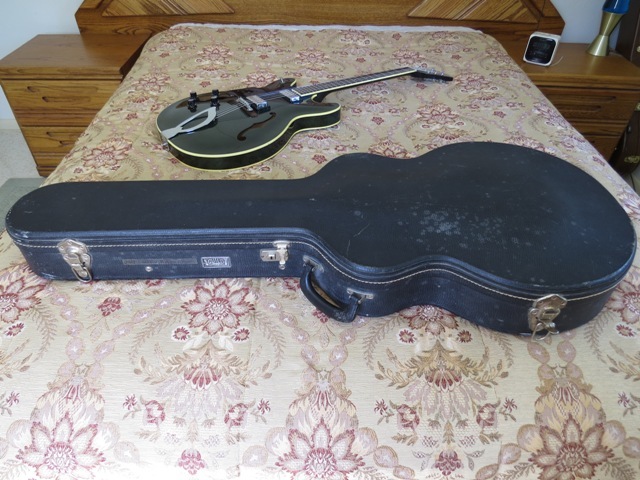 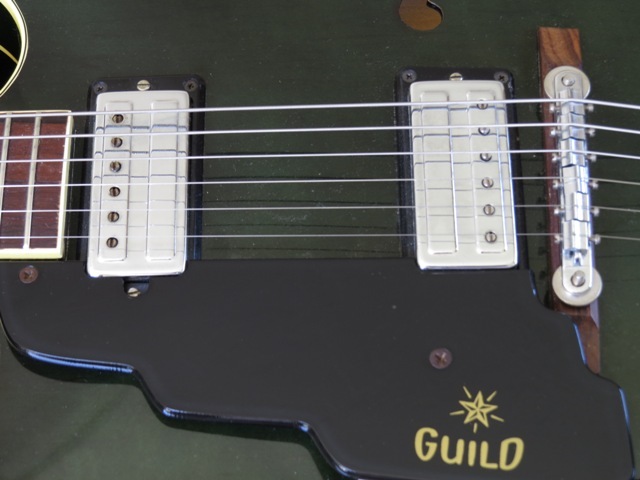 1967 Guild Starfire IV, Rare Emerald Green, 100% Original, EXC Condition! 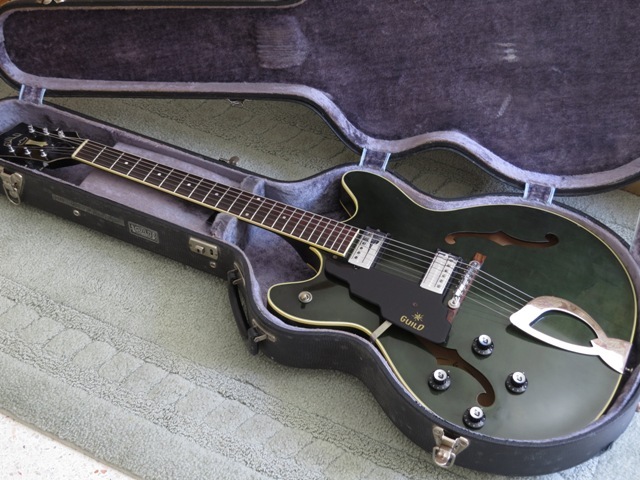 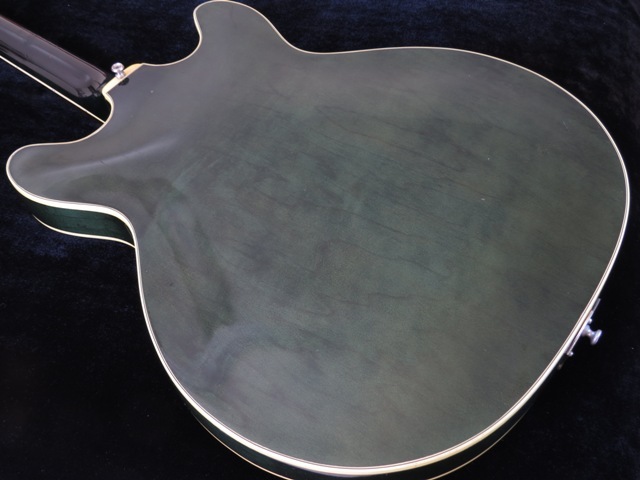 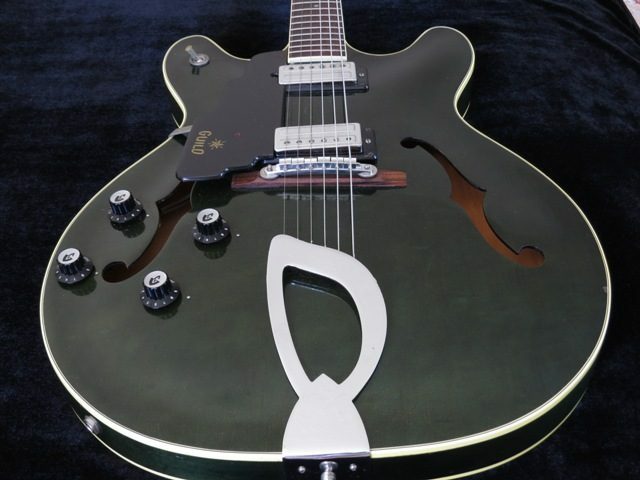 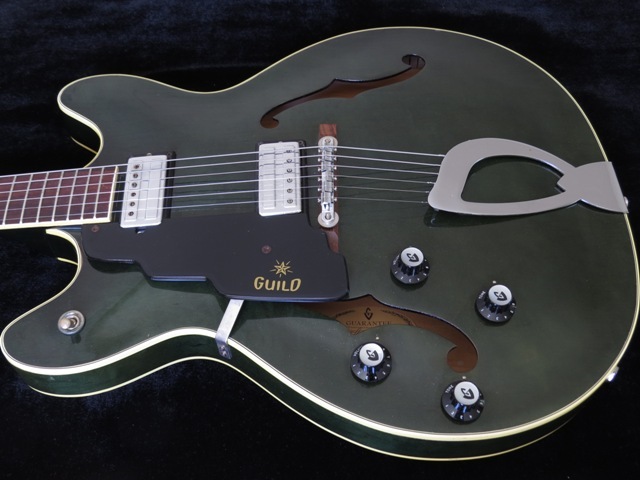 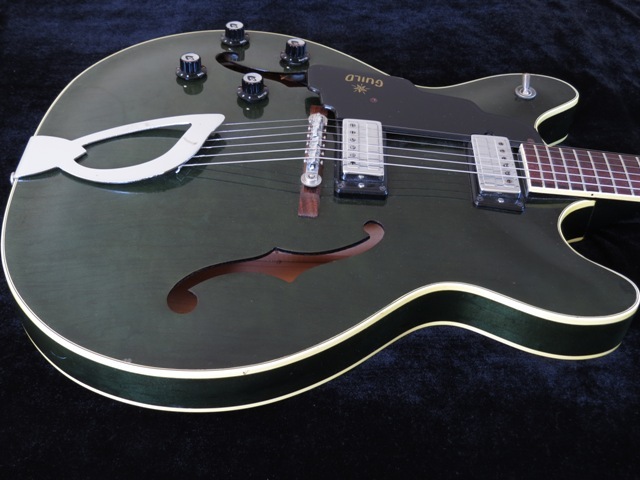 1967 Guild Starfire IV, factory Left Handed, in the very rare Emerald Green finish. 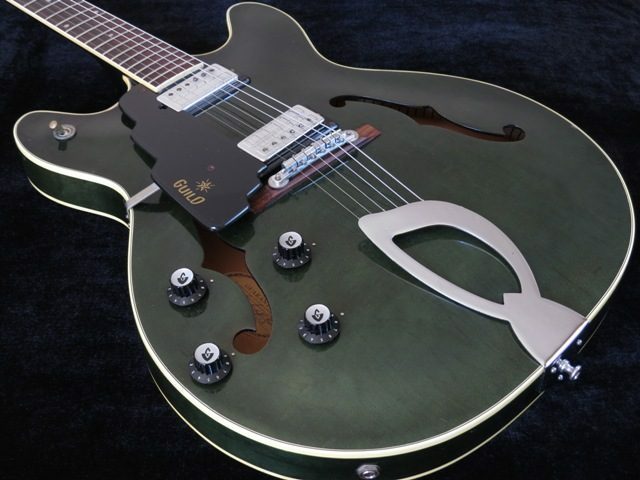 Most of the Starfire IVs were Cherry or Sunburst, so the Emerald Green is considered a custom color for this model, available at extra cost as a catalog item; very rare for a righty, let alone a lefty! 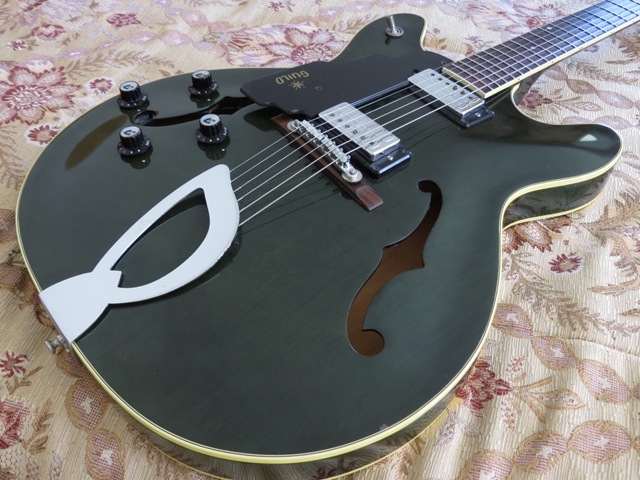 This Starfire IV is a Semi-Hollow Body Electric Guitar, made in Hoboken, NJ, serial # EL-1803(1967), laminated maple body, mahogany neck with rosewood fingerboard, original hardshell case. 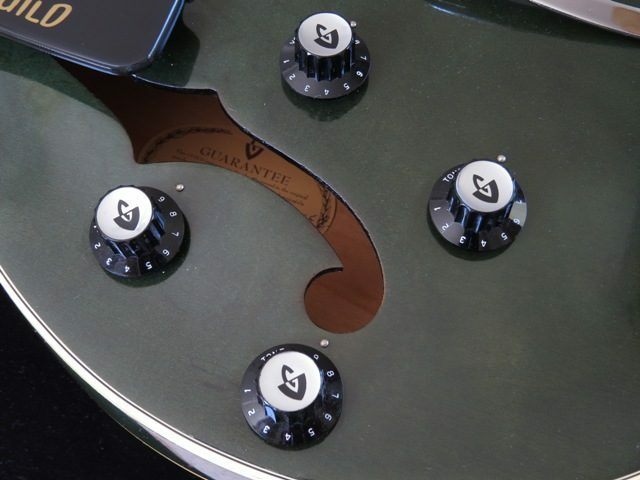 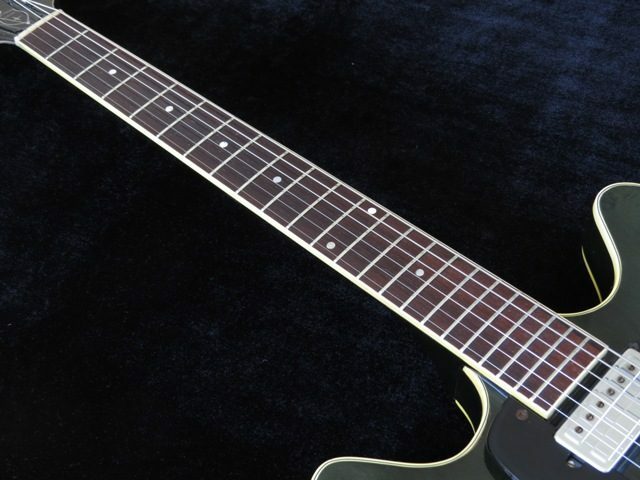 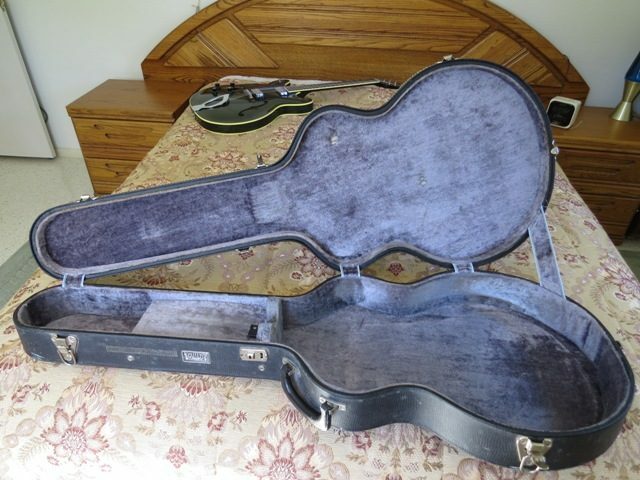 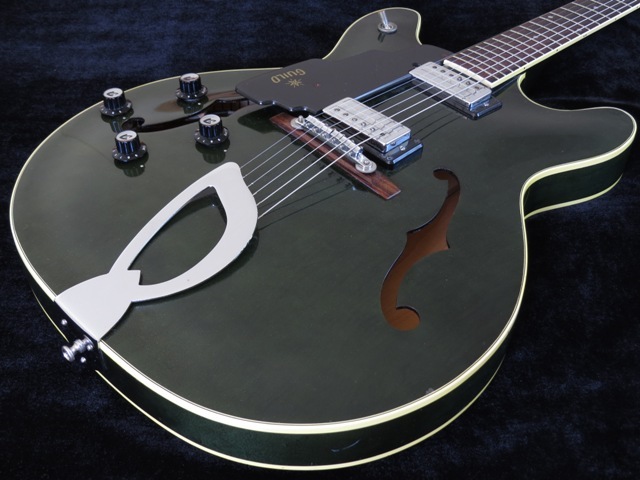 This model is similar to the Gibson ES-335, which also has the center block for enhanced sustain and reduced feedback. 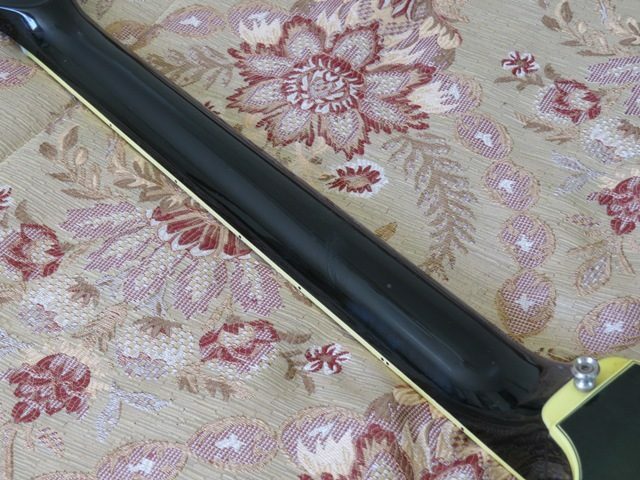 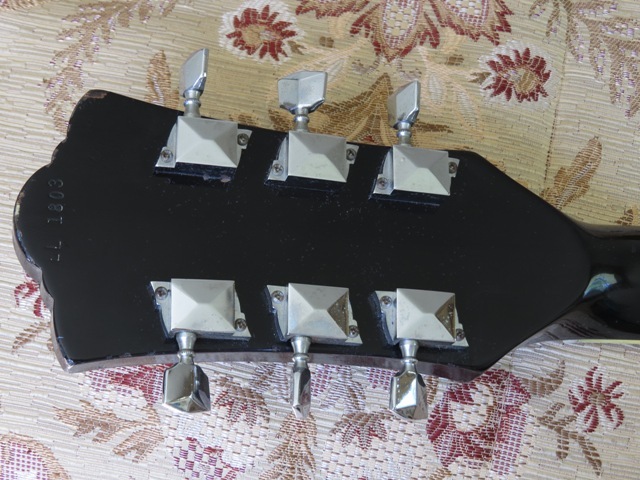 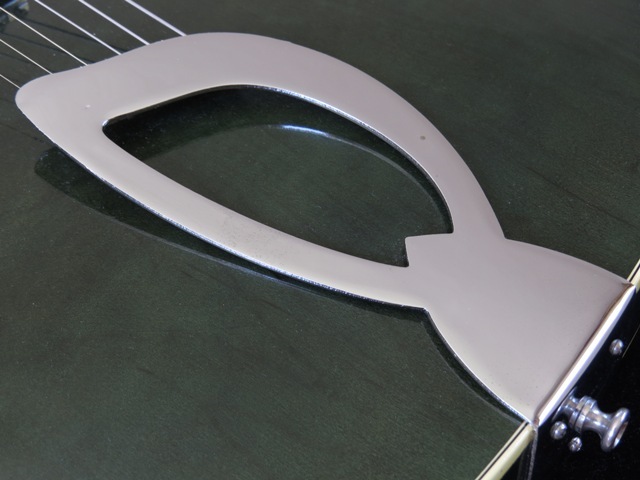 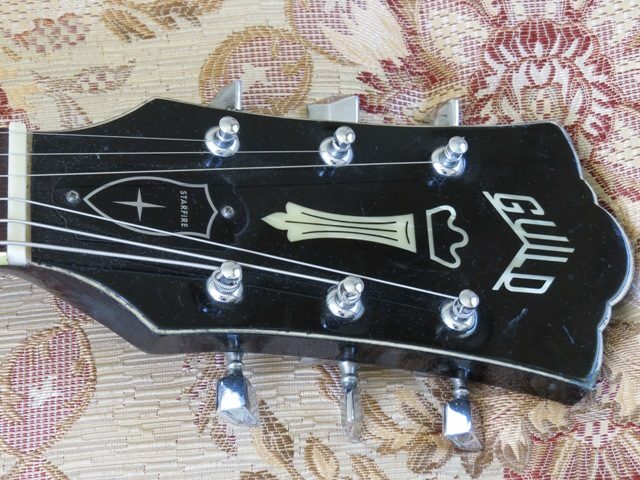 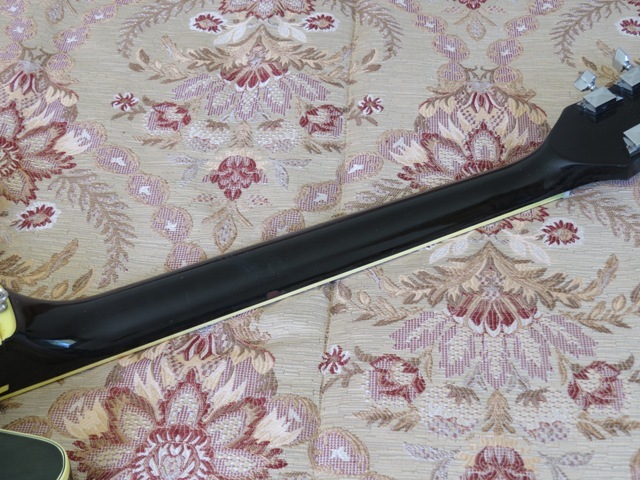 Unlike the Gibson model for the same year, the Starfire has the very desirable 1 11/16 wide nut, which Gibson stopped making in early 1965, when they switched to the narrow (and much maligned) 1 9/16 wide nut.